It would be hard to choose a day in all my travels that stands out from all the rest…but this day will certainly be up there. 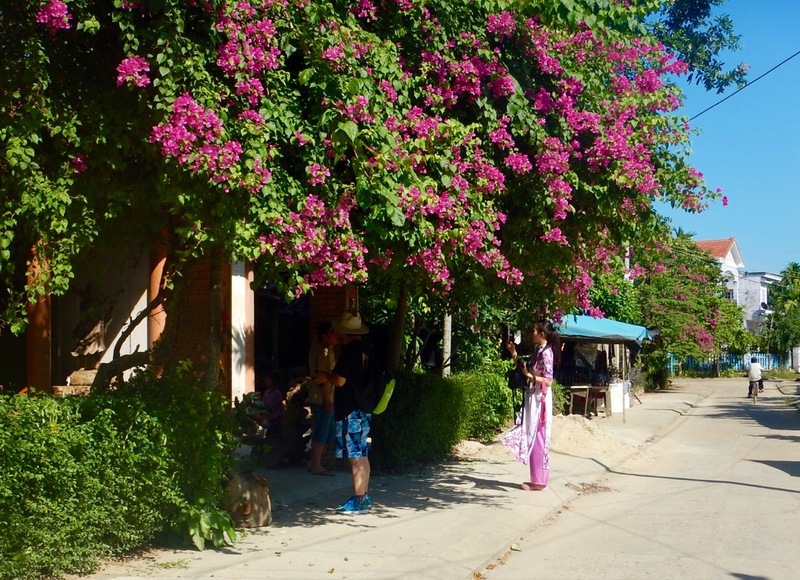 I’m on my way to My Son Sanctuary (pronounced me sun) about an hours drive into the foothills of the mountains west of Hoi An – commonly referred to as the Marble Mountains. I generally favour the journey over the destination and on this glorious day I have good reason. 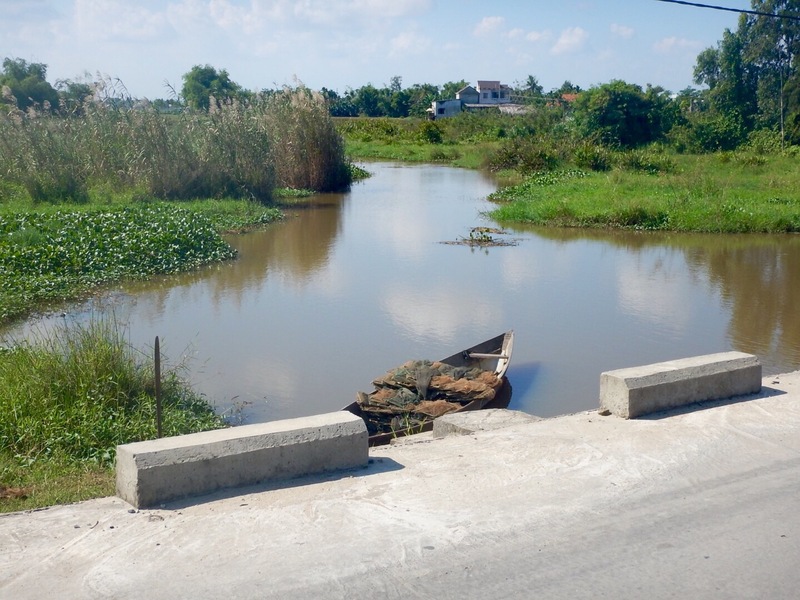 I cannot think of a better way to experience rural Viet Nam than on one of its ubiquitous motor bikes. 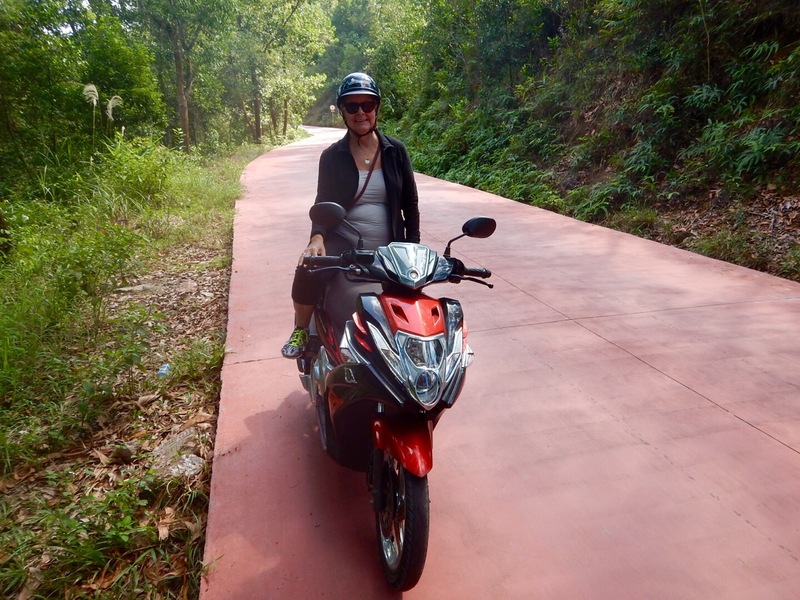 If you are an experienced rider you might rent a bike and join one of the tours out of Hoi An, but as I don’t know how to drive a bike I’m very happy to perch behind my capable guide and uber-experienced motorbike driver, Ian of Viet Nam Small Group Tours. The more I see of the country and its people, the harder it is to understand how the senseless destruction of the Viet Nam war could have happened here. I wonder what these gentle, hard-working, deeply spiritual people thought of the carnage and destruction of their land and homes, driven by ambitions and decisions in remote places. 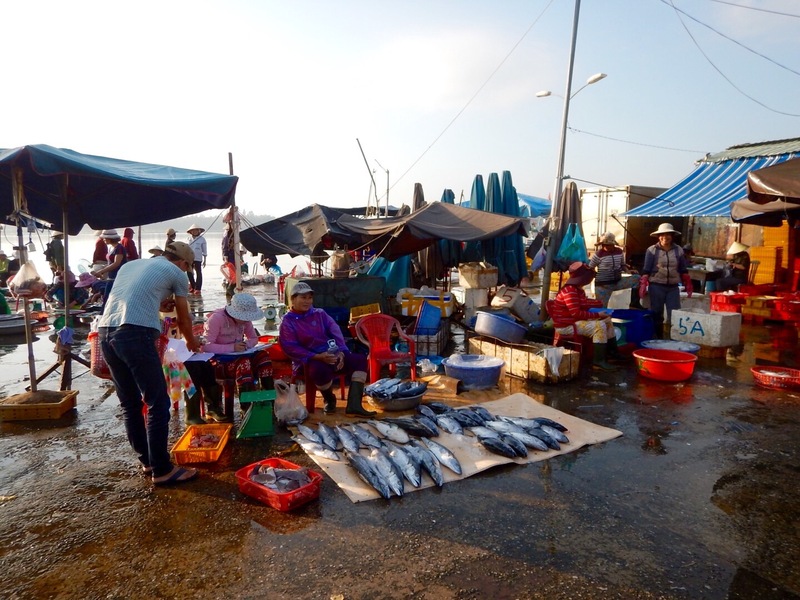 Forty years later Viet Nam is recovering, and its burgeoning new generation has little direct experience of a war that nearly destroyed their country. Everywhere – except in places still heavily effected by the tons of chemicals dropped here – the country is bristling with new growth. 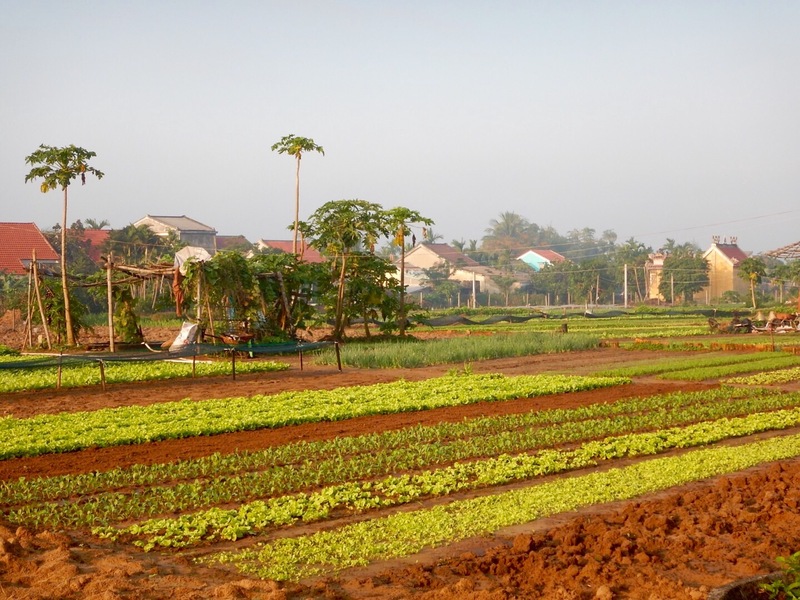 These brilliantly painted vegetable plots bordering the town of Hoi An provide a huge variety of fresh vegetables and herbs to markets and cafes. Almost everything here is done by hand and much of the work is done in the cool hours of the first light of dawn. 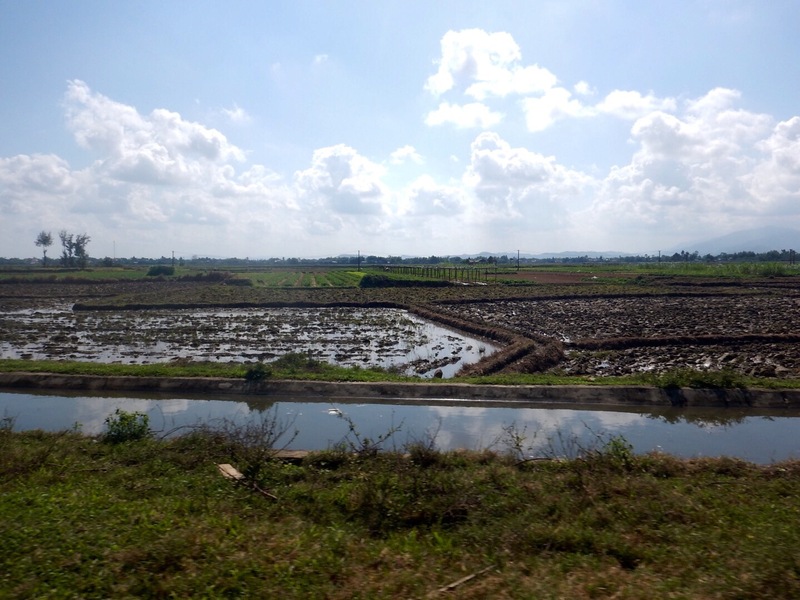 There’s no sign of mechanised farming here and a notable absence of sprinkling systems. These lush plots are watered with watering cans. 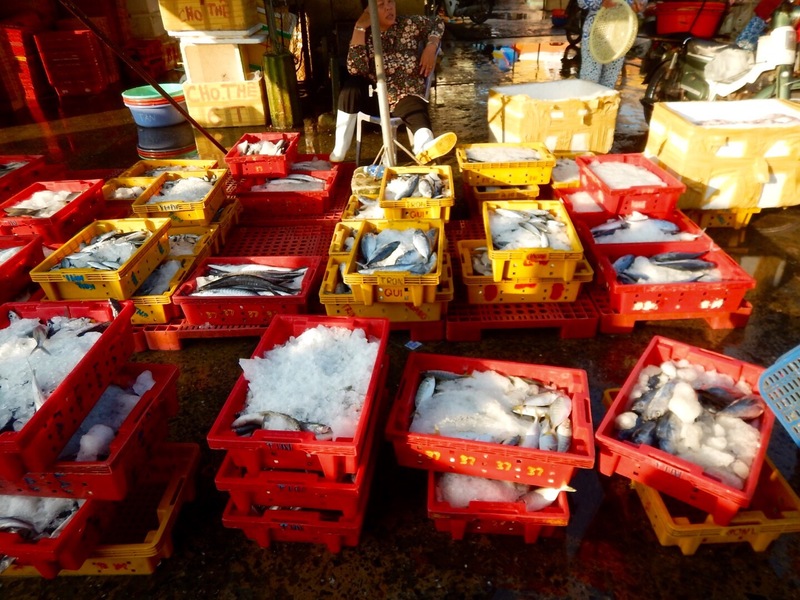 …and carefully sorted, trimmed and washed by hand. 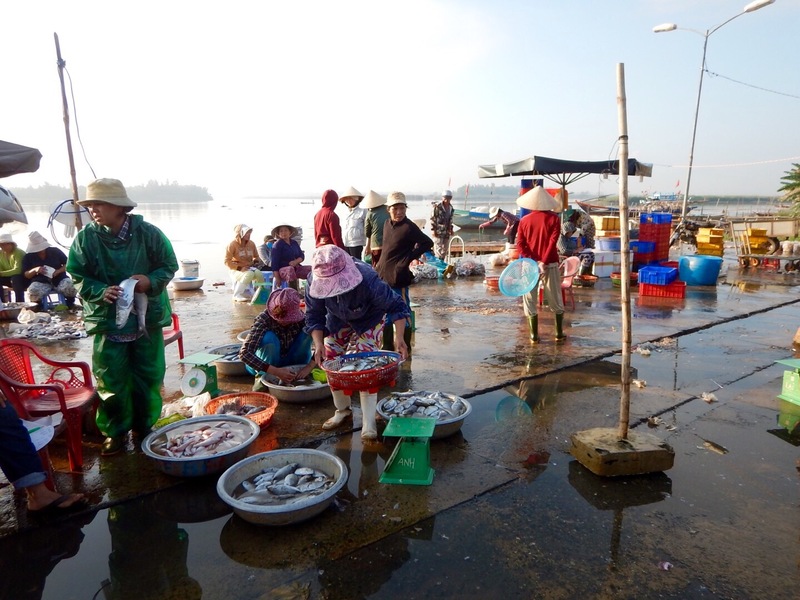 By eight in the morning we are almost too late for the daily fish market along the Thu Bon river, which is just winding up when we come by. I’m astounded at the variety and the sheer volume of sea life that gets hauled out of these waterways day in and day out. 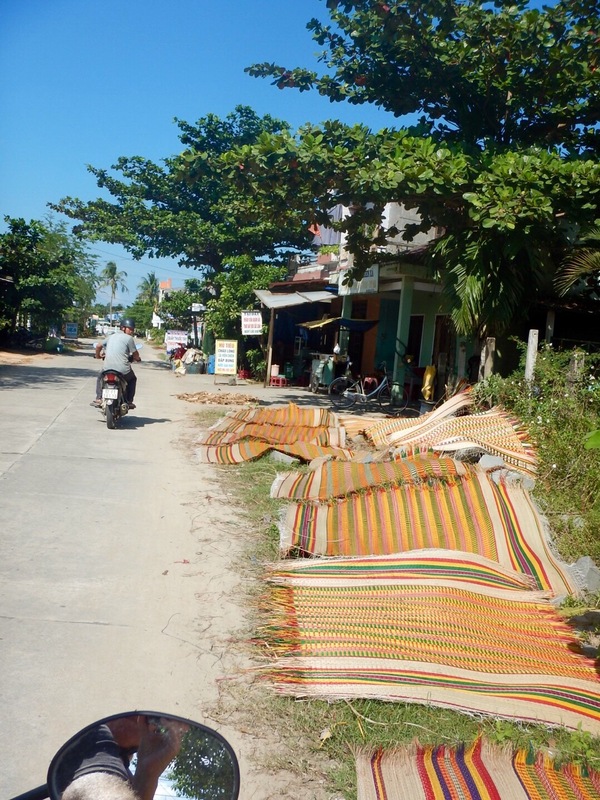 I’m told that almost every traditional home in the area has at least one colourful, beautifully woven grass mat made from the reeds that only grow along the banks and inlets of the Thu Bon. Reeds are harvested, bleached in the sun and then dyed brilliant colours before being worked into intricately patterned mats. Driving through this area, the drying yards around the little houses are bright red one day, lush green the next day and on another day the yards will all be mustard yellow. 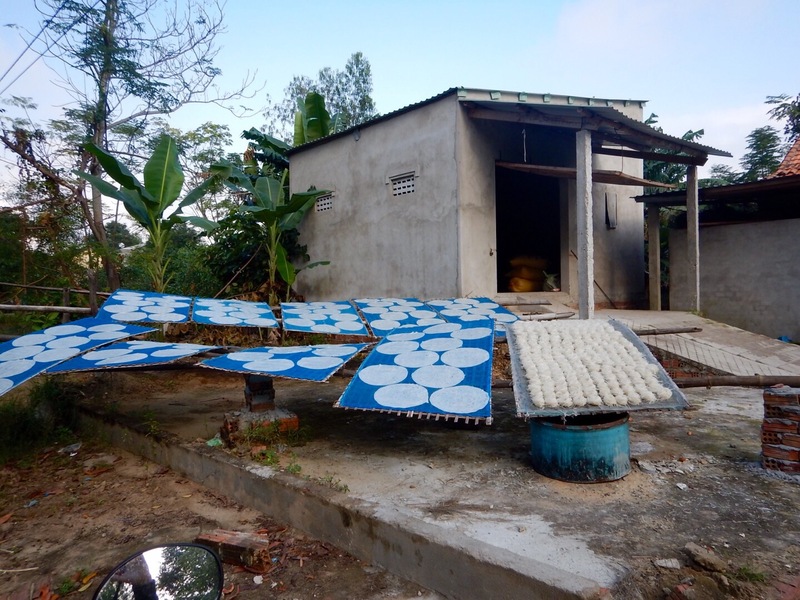 When these rice patties are dry they’ll be packaged and sold to local shops, vendors and cafes. If you grow up in Hoi An and then move to one of the big cities to work, you ask your relatives to bring a bag of this local specialty with them every time they come to visit. 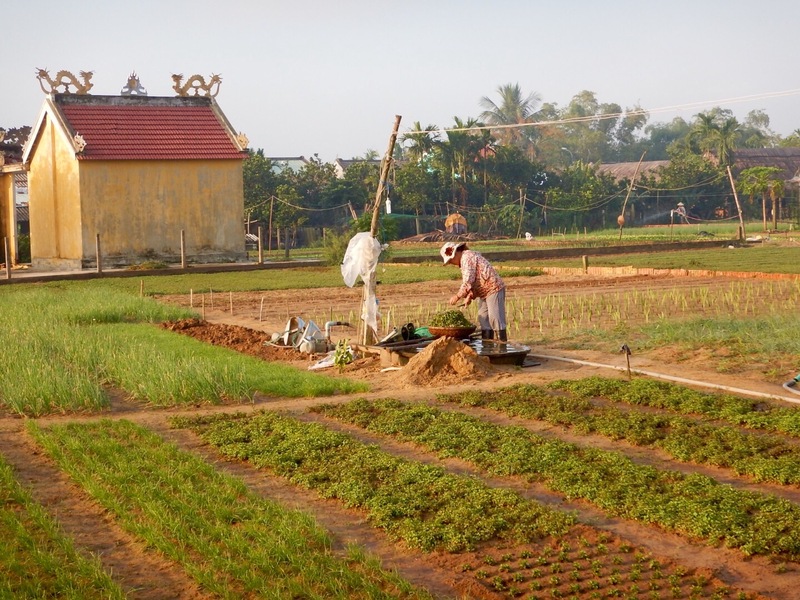 Hoi An is truly a microcosm of rural life, where everything needed to sustain a community happens within a few kilometres. 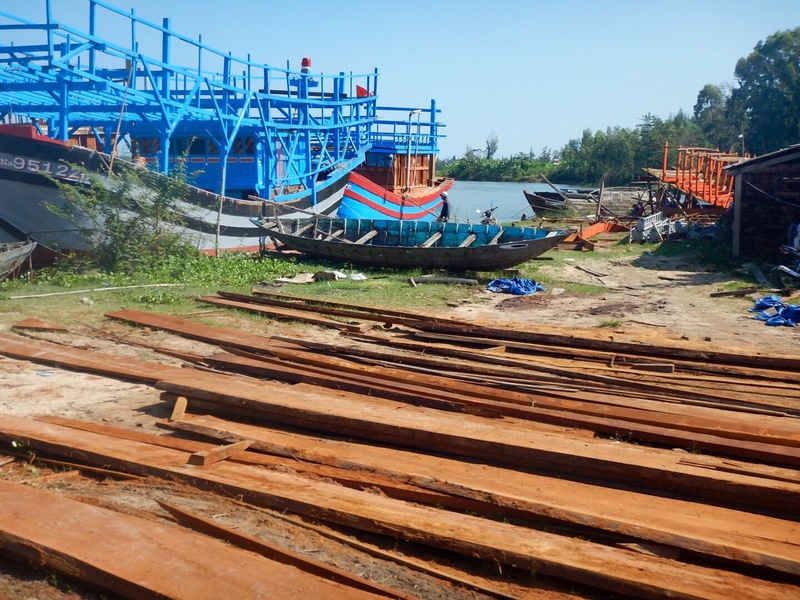 Shipbuilding goes on at the edges of the river, done the same way it has been done here for centuries – by hand. The ride through the country is completely breathtaking with set pieces around every corner. Nets carefully folded and drying. 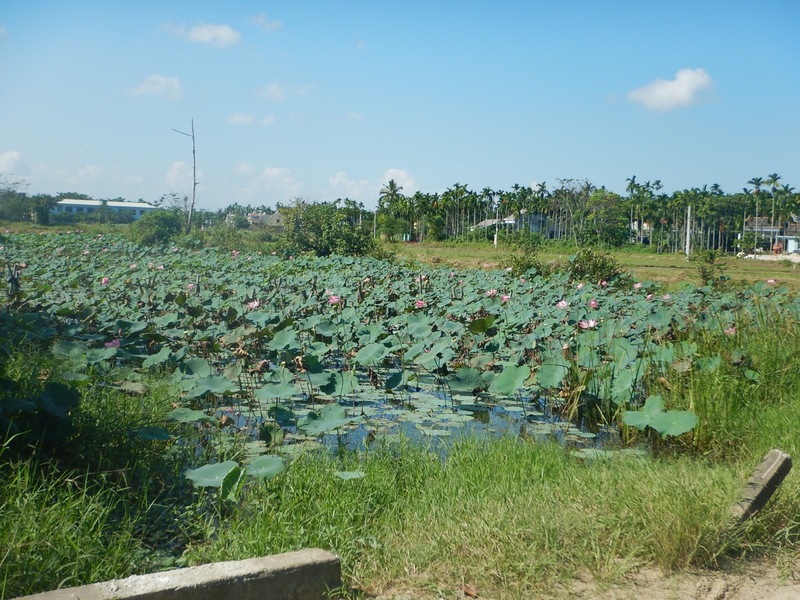 A field of the beautiful lotus flowers that are revered here, as in most countries in Asia. This beautiful woman in her graceful Ao Dai looks like she has just dropped out of the mounds of bougainvillea. I have a collection of special moments in my life. They are moments of pure joy that occur just as I happen to pass by and they feel to me like a gift. If I get old enough to begin to lose my mind I hope fervently that these particularly special memories will endure. This is one of them. I watched this energetic lad come careening down the narrow pathway on his bicycle, shrieking with satisfaction as the startled ducks waddled for their lives into the safety of the pond. Maybe when he’s left the spontaneity of youth behind, he’ll look back and recall this same joyous moment…never knowing that I shared it with him. 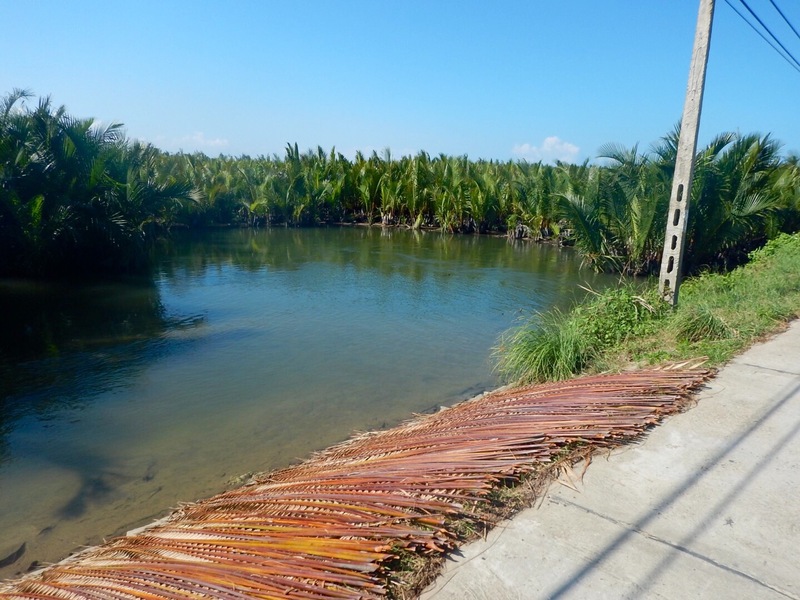 This is a water coconut plantation. Water coconuts are small, green, smooth skinned fruit that grows in bunches around the water line of the palms. They’re grown mainly for coconut water but the street through the plantation is lined on both sides with drying palm fronds, used for roofing and beach palapas. 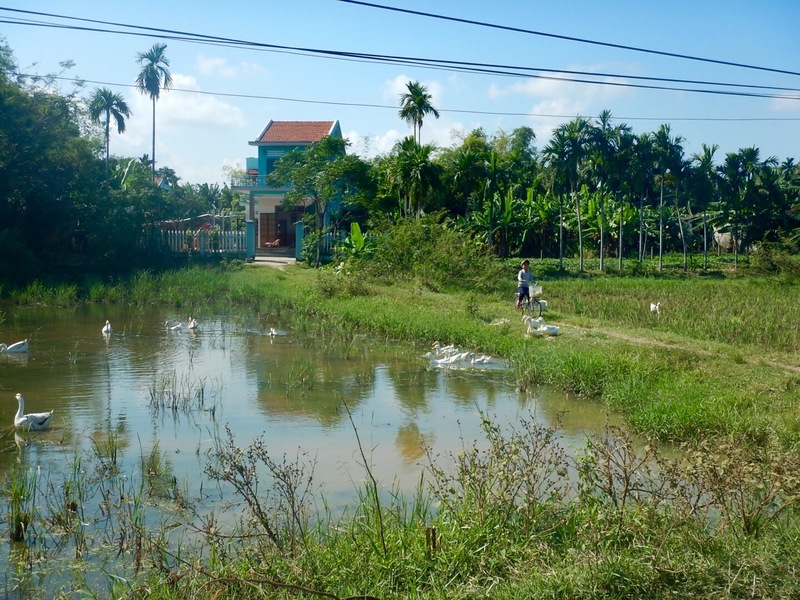 The plantation is protected from development but Cam Thanh fishing village remains from earlier times. 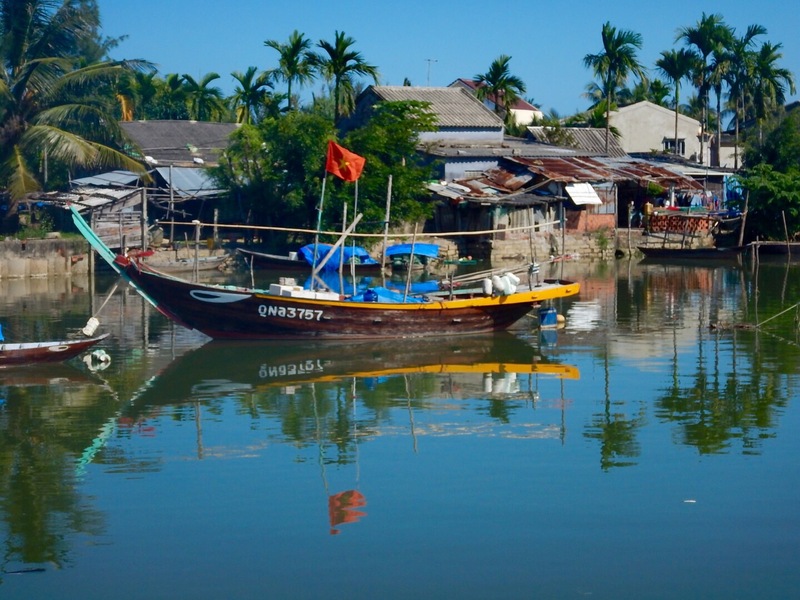 You can tour this village in a basket boat, learn local fishing techniques or take a cooking class here. 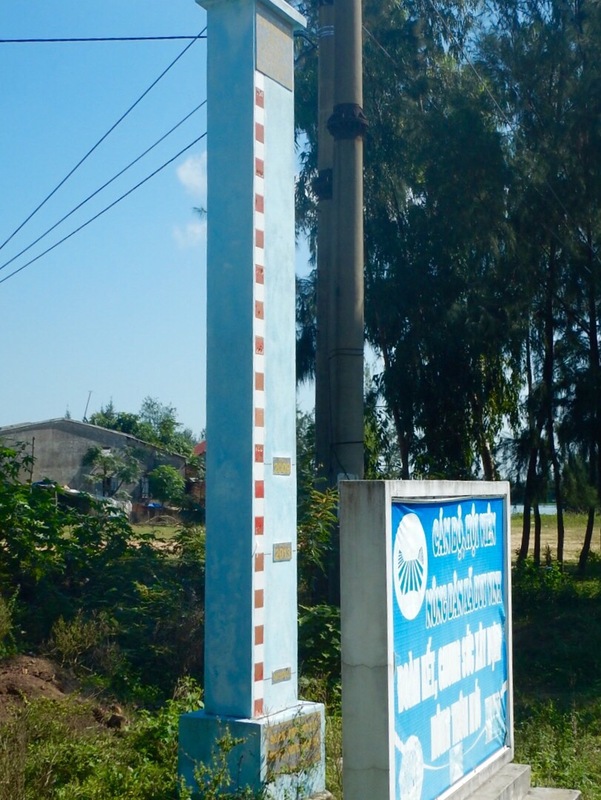 This water level marker is a stark reminder that all of the Thu Bon delta, the surrounding countryside and the beautiful town of Hoi An are subject to severe flooding, and vulnerable to sea level rise resulting from climate change. As recently as 2013 flood waters were high enough to almost submerge the sign next to the marker.